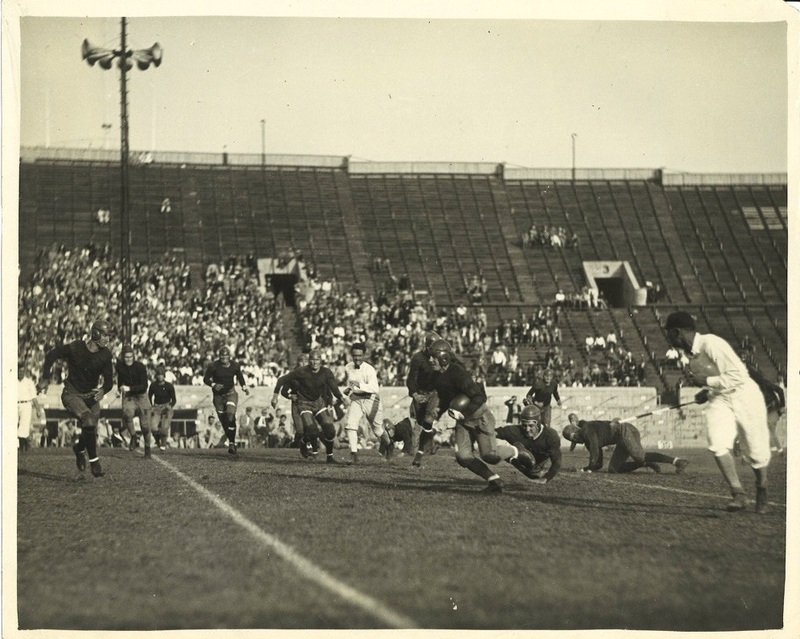 The Ted Ellsworth Collection documents Ellsworth’s work as a health plan administrator and consultant, union representative, labor management arbitrator, educator, and activist for the aging. Ellsworth began his advocacy work on behalf of fellow members of the Motion Picture Costumers, IATSE Local 705 labor union, and continued to work for the cause throughout his life. 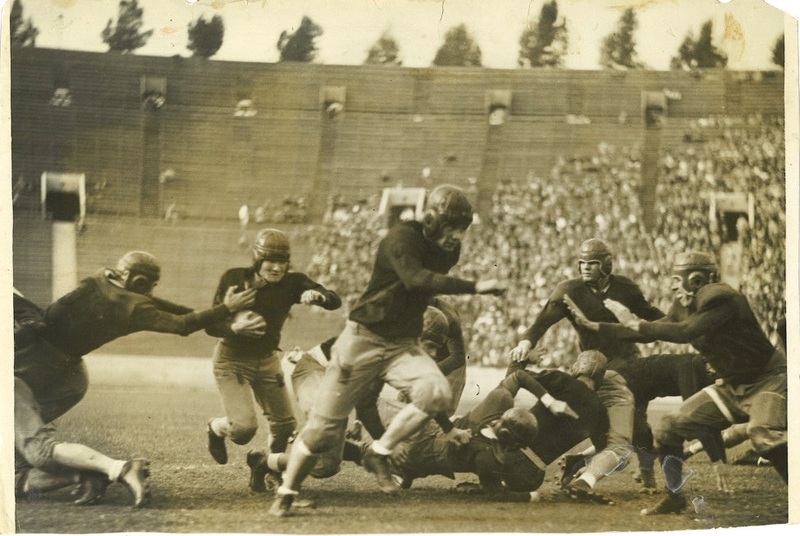 Before Ellsworth went into the costume business and launched his union and advocacy work related to health insurance and aging, he had a successful stint as a basketball and football player at Occidental College in Los Angeles. 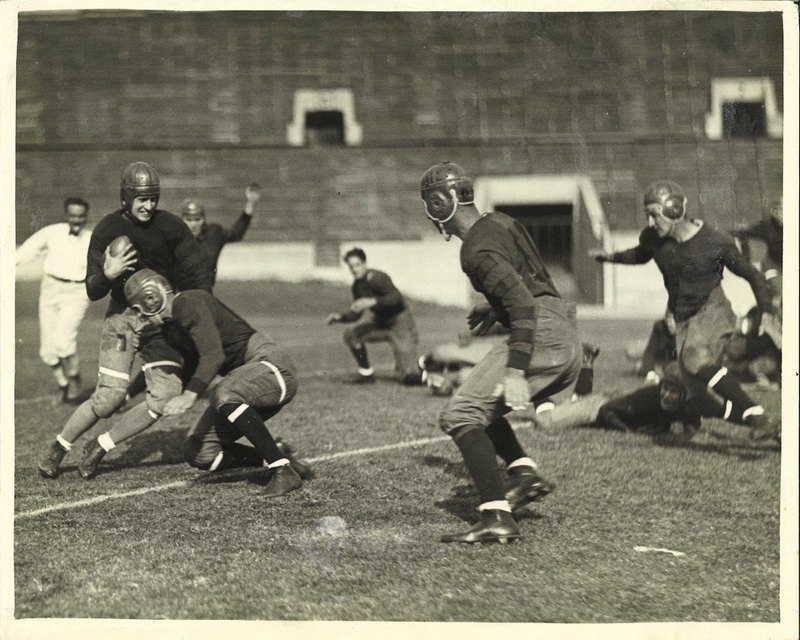 A recent addition to the Ellsworth Collection provides a look at his scholastic athletic career and 1920s collegiate basketball and football. 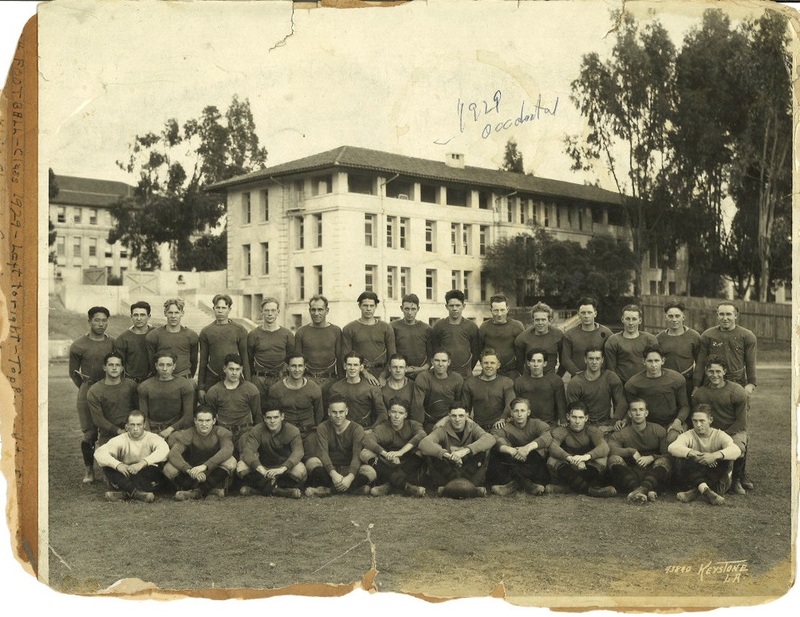 While attending Occidental in the late 1920s, Ellsworth played on both the football and basketball teams. 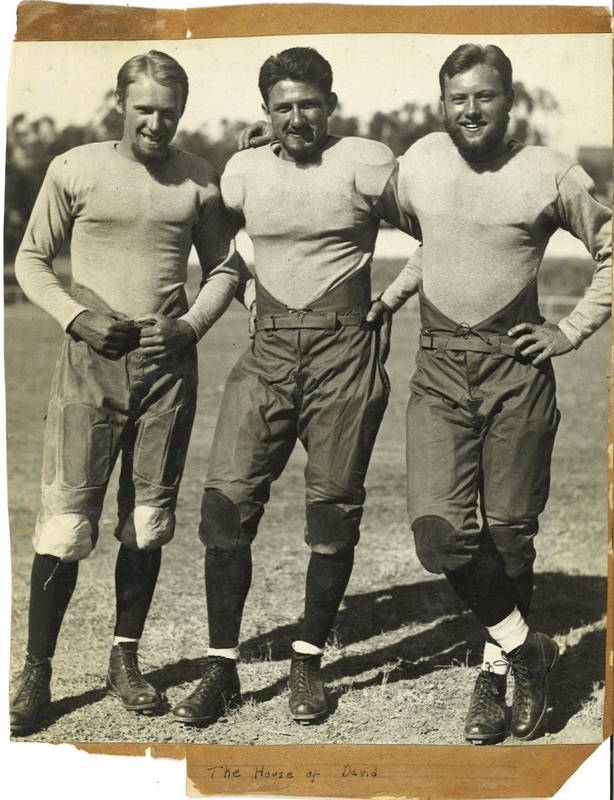 The Occidental Tigers have been part of the NCAA Division III Southern California Intercollegiate Athletic Conference (SCIAC) since it was founded in 1915. 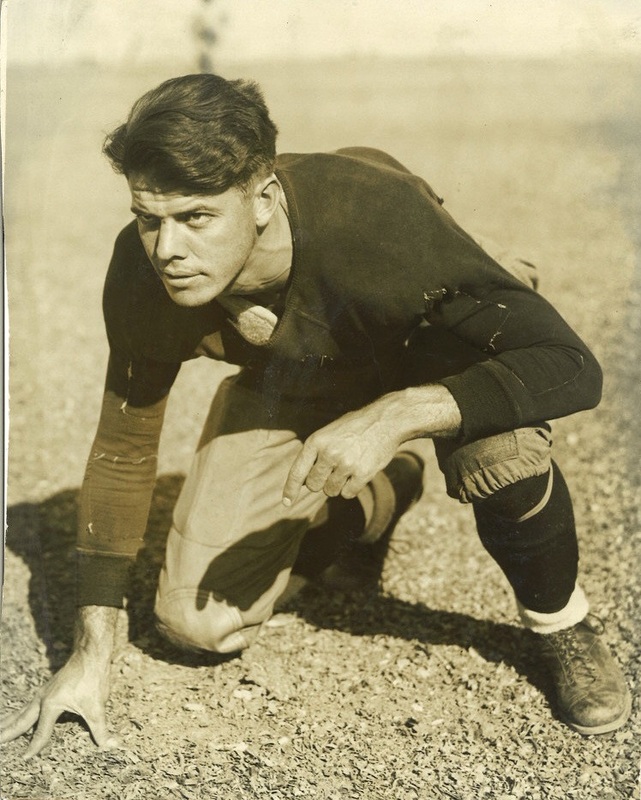 Ellsworth was a member of the Occidental Tigers Varsity football team for three years, from 1926-1928, and played on the basketball team, as well. 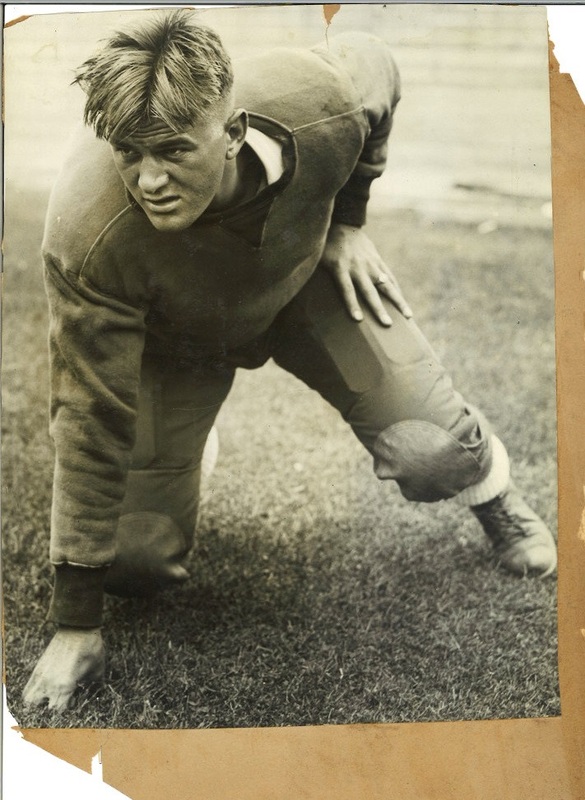 Undated newspaper clippings in the collection mention that as a basketball player Ellsworth was a "stalwart guard" and that his "ability to get the ball off the backboard" made him "a valuable man." 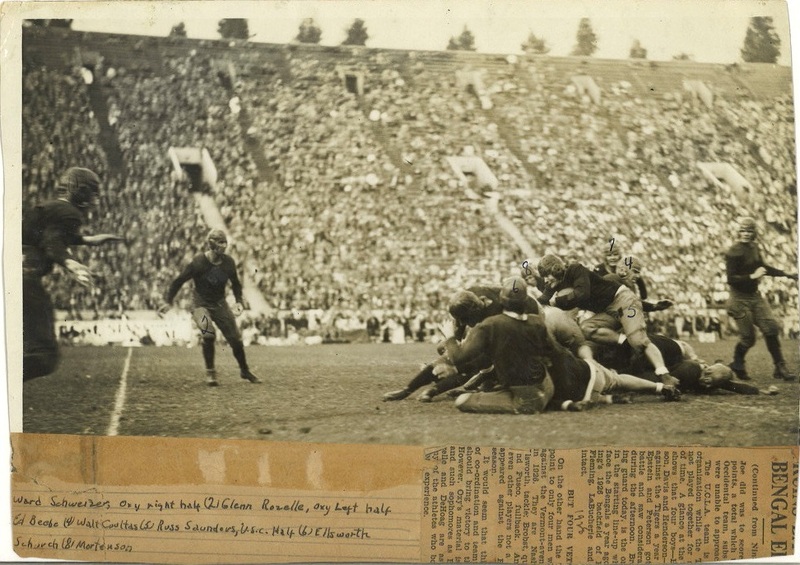 Newspaper clippings also acknowledged Ellsworth’s scholastic prowess. 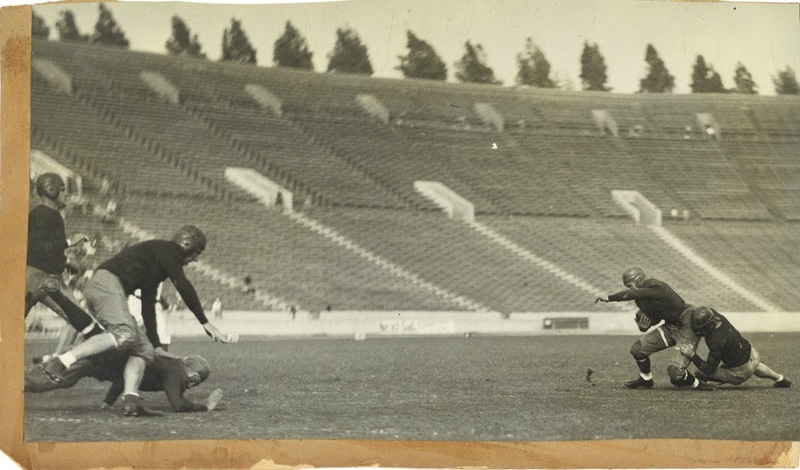 A 1929 clipping took a humorous bent to the concept of scholar-athlete, "[c]asting asparagus on the ancient theory that all athletes are not scholastically inclined" and noting that "four Occidental College athletes have been honored by Phi Beta Kappa, national honorary scholastic fraternity." Ellsworth made the cut, along with track letterman Leo Smith, track and football player Ward Schwizer, and tennis player Yatsu Maeno. 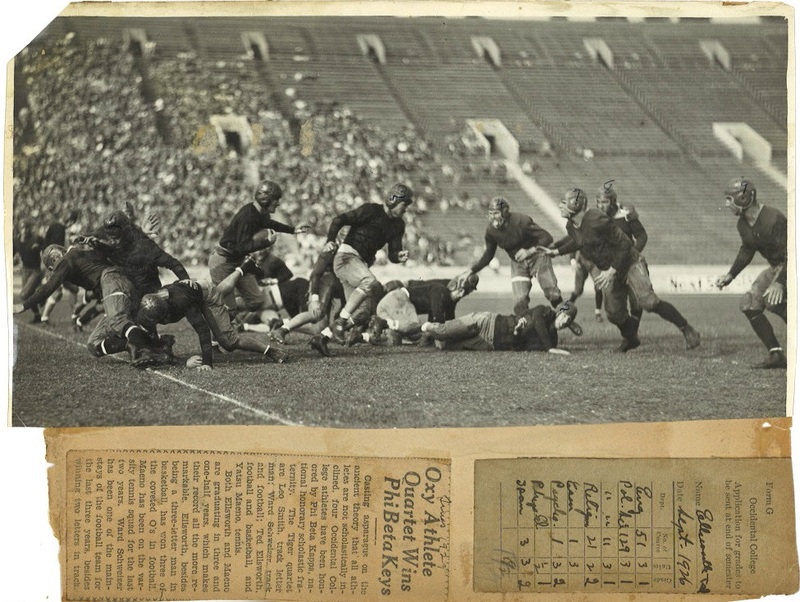 The article went on to note that, "Ellsworth, besides being a three-letter man in basketball, has won three of the coveted O's in football." 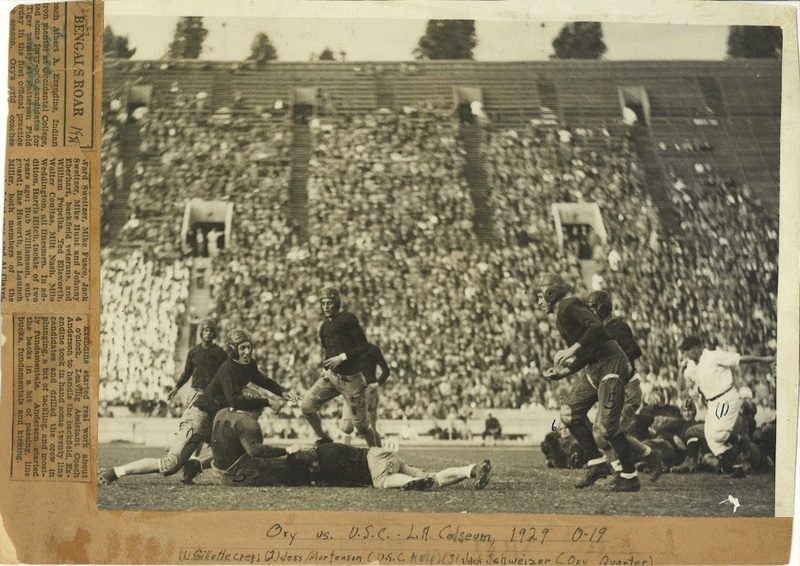 The Ellsworth Collection contains a number of scrapbook pages with photographs and newspaper clippings documenting Occidental College football players, collegiate camaraderie, and the excitement of 1920s college football in action. Individuals often become best known for a particular line of accomplishment, although other facets of their lives can provide insight to equally fascinating stories. 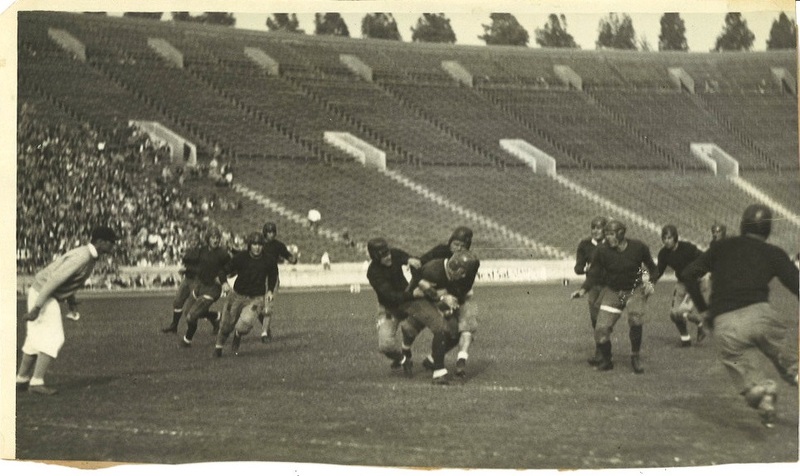 The bulk of the Ellsworth Collection relates to his work as a health plan administrator, consultant, and advocate for the aging, yet this glimpse into the world of 1920s Occidental College athletics reveals an additional dimension to Ellsworth’s life and times.